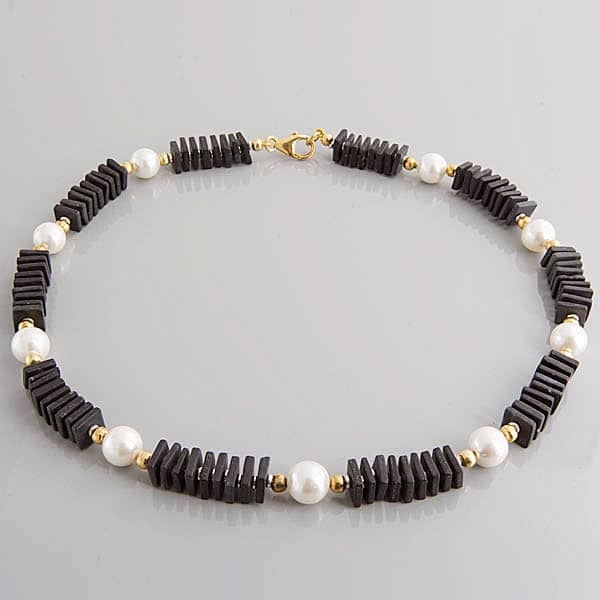 As with other pieces of jewellery, the necklace has been an important site of decoration for the body but also of communication for the person. 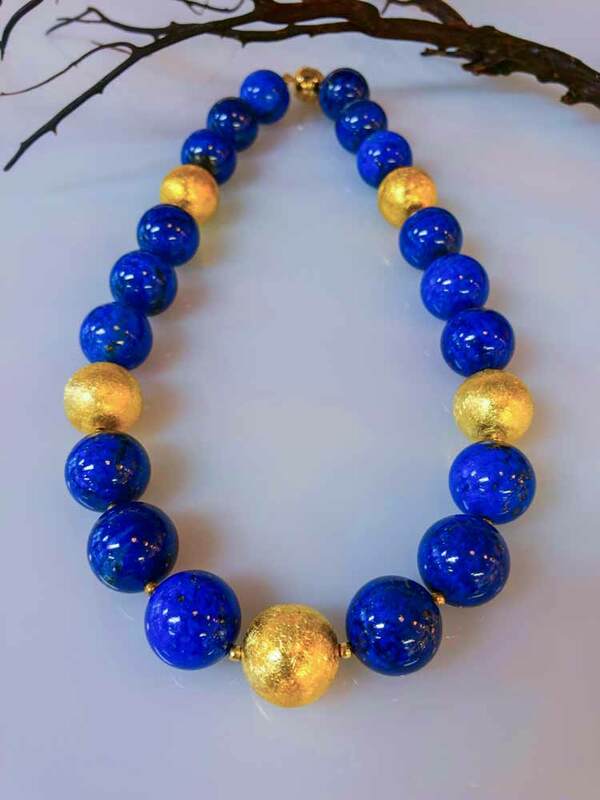 As a valued material culture, necklaces communicate wealth, power, affiliation, prestige, levels of resources and skill, and elements of identity and position. 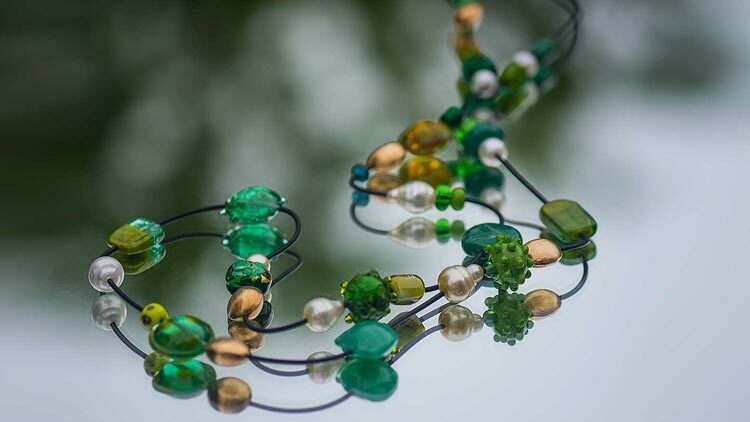 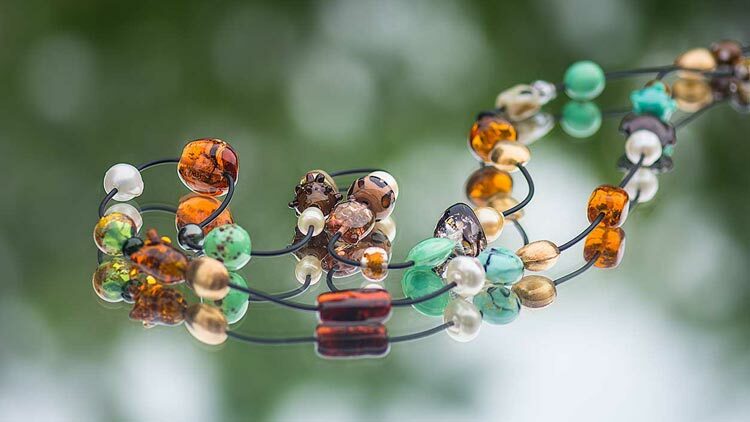 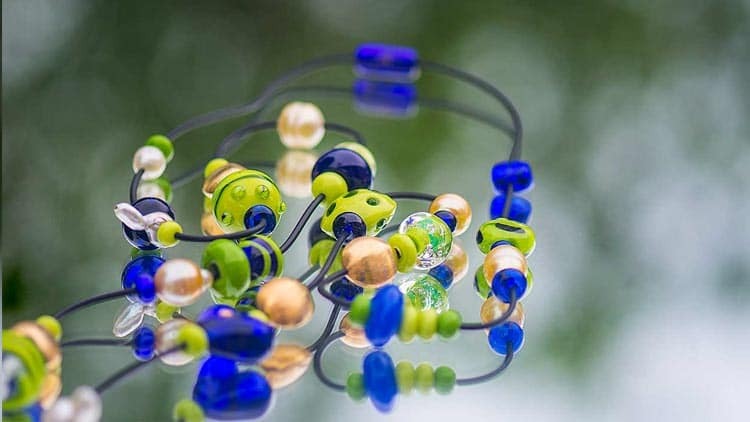 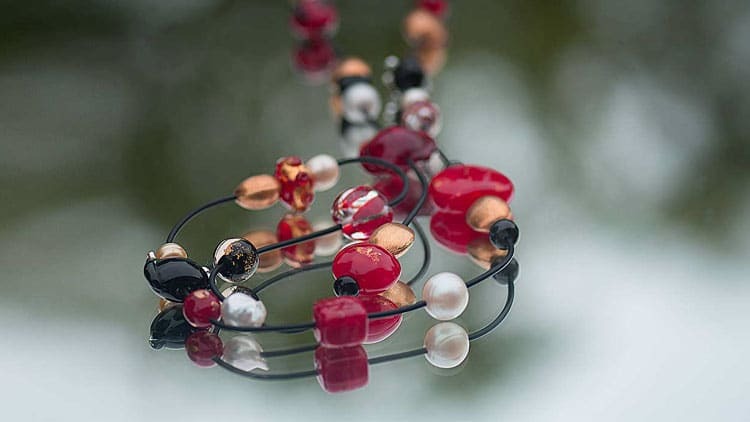 The durability of jewellery like necklaces made of metal, glass beads, or gemstones provides an opportunity to appreciate and understand the technology and cultural practices. 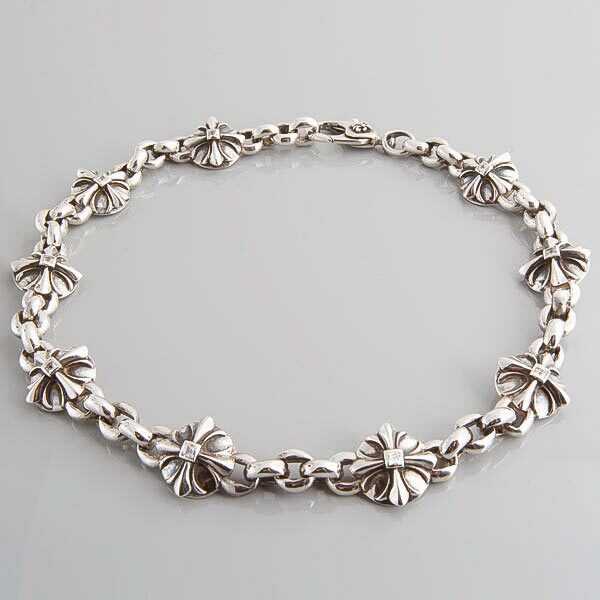 The necklace is a central piece of jewellery for a woman, which also included brooch, earrings, bracelets, and a pendant. 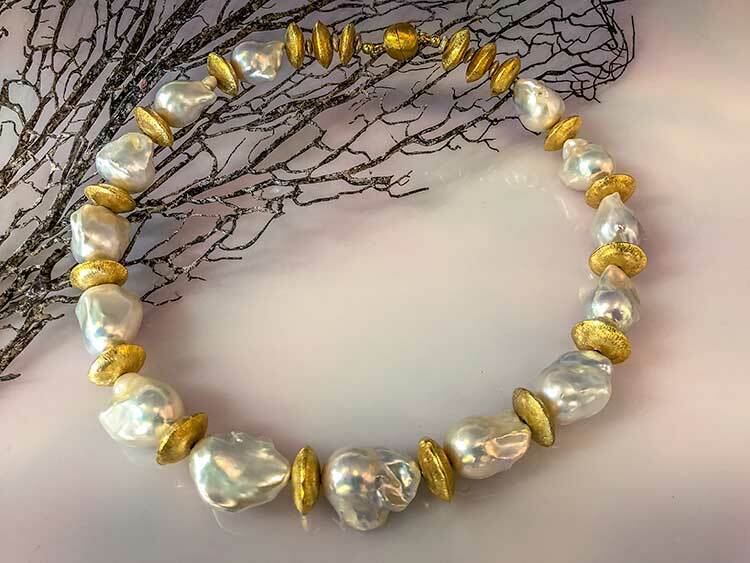 Certain materials have long held reign for necklaces throughout the Western history of dress, including gold, diamonds, and pearls. 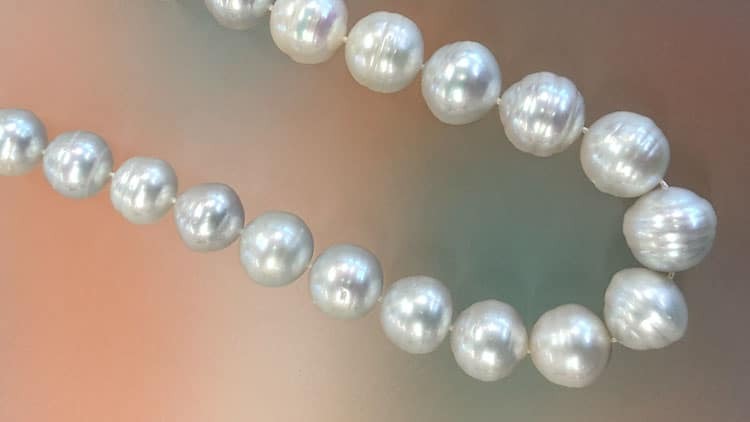 The short strand of pearls became a classic gift for young American and British women on their sixteenth birthday, and it remains a popular choice for women’s professional and business dress ensembles and bridal costume. 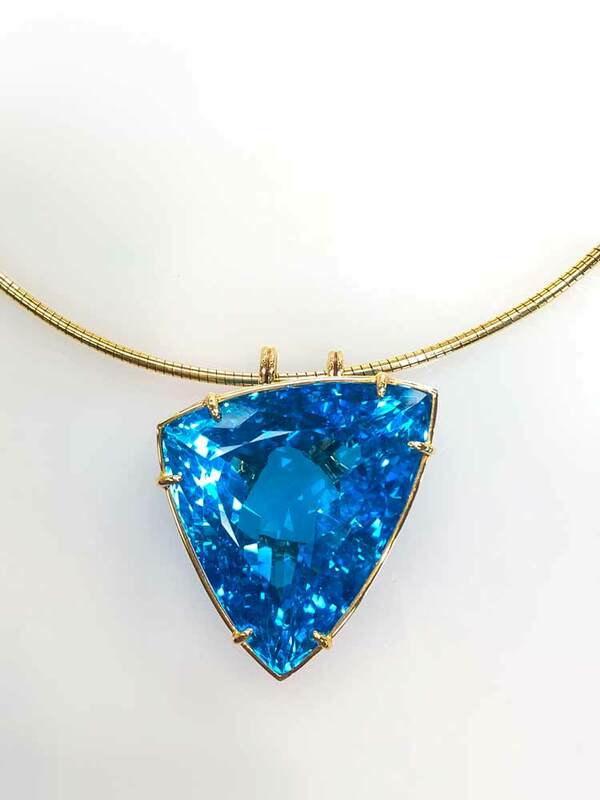 A pendant is an ornament that is suspended from another piece of jewellery such as a necklace, neck chain, ribbon, brooch, bracelet, or earring. 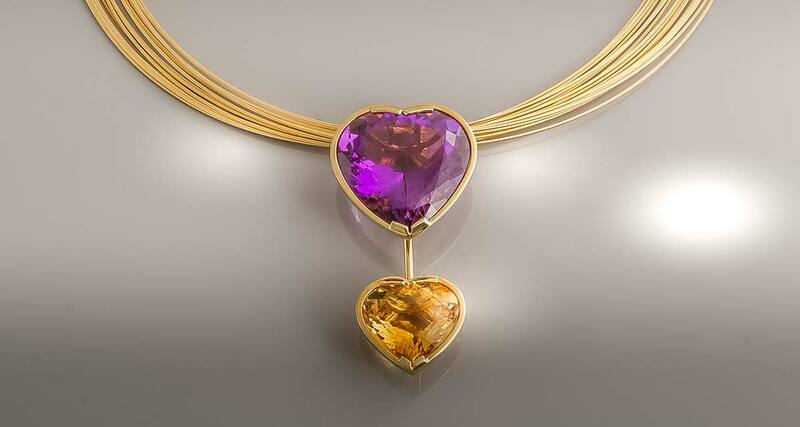 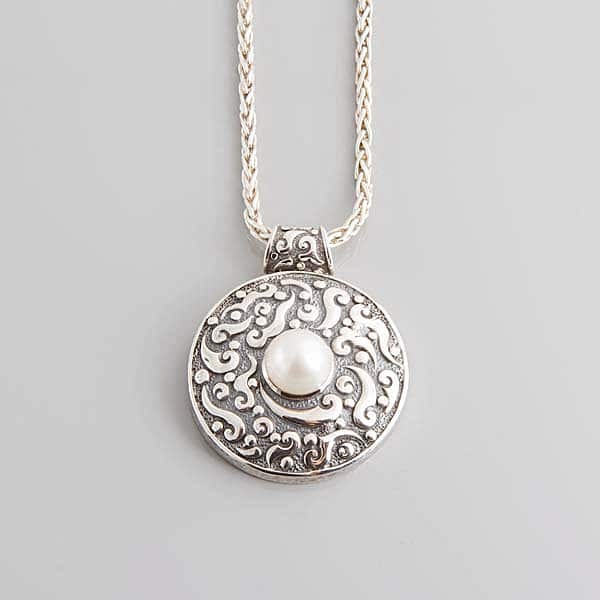 Pendants take many forms including large gems or pearls, cameos, crosses, lockets, amulets, or watches. 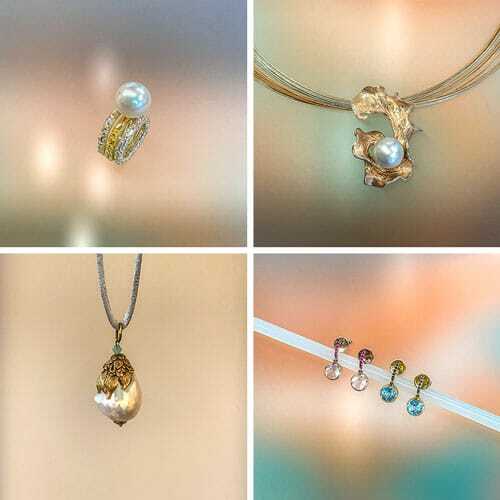 How to care for your pearls can be found here. 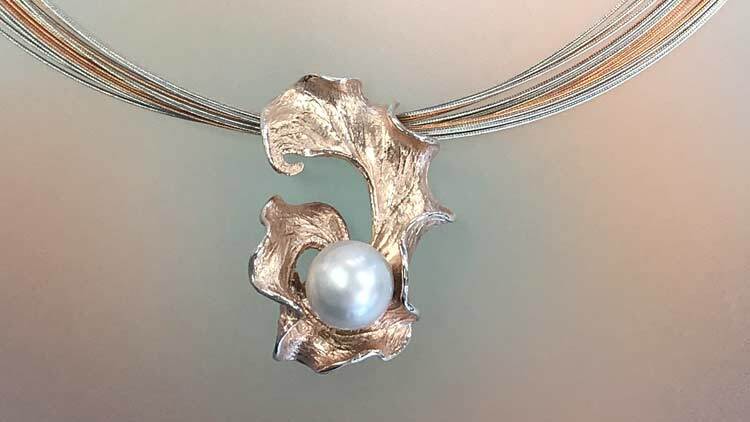 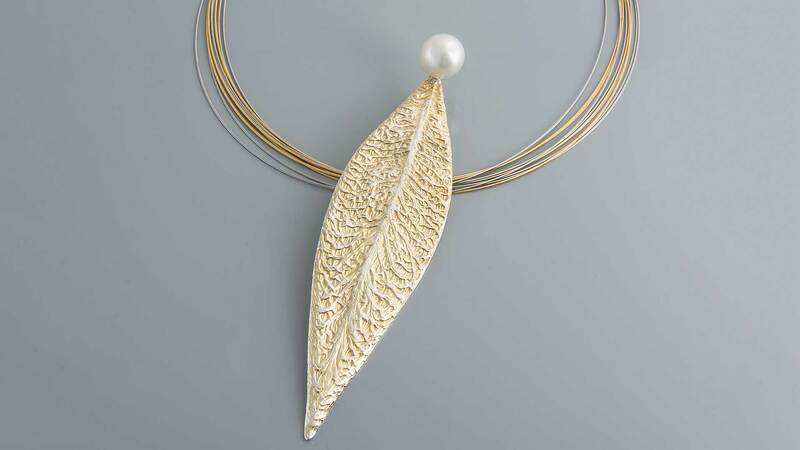 Artissimo offers stunning collections of sterling silver and freshwater pearls as well as Broome south sea pearls. 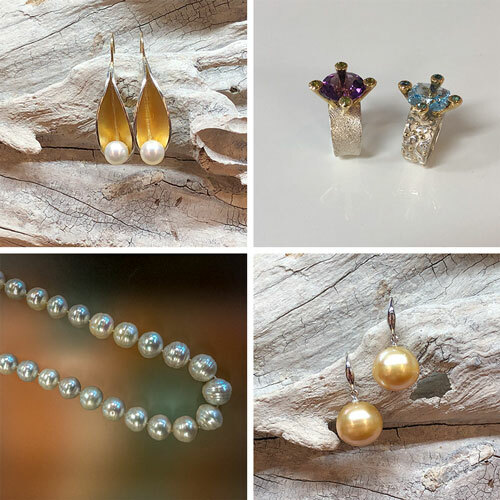 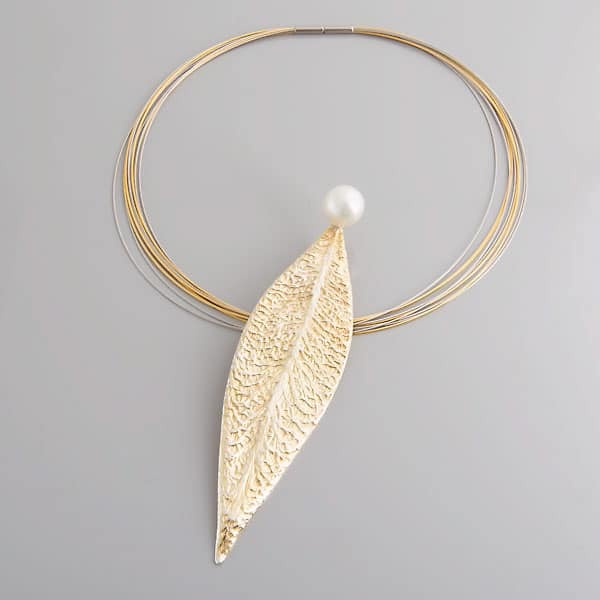 Our handcrafted jewellery pieces make the ideal gift or spoil yourself because you deserve it! 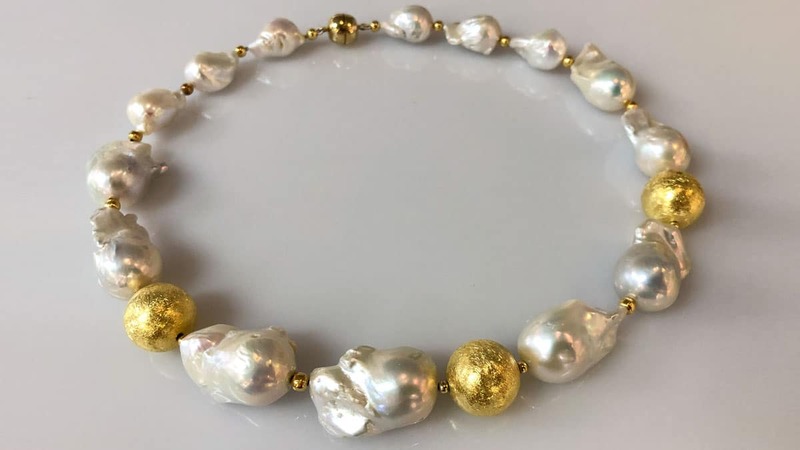 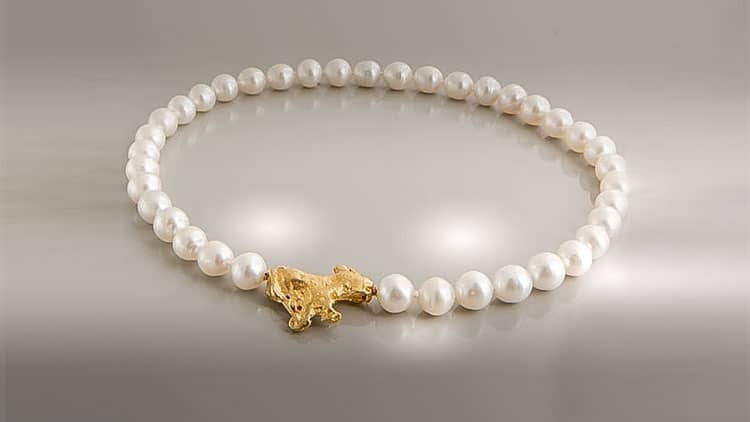 Baroque freshwater pearls very good lustre and sterling silver gold plated beads.